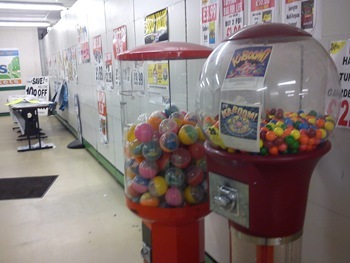 I love this country, especially when I feel as though I am being sucked into a timewarp, being the retro enthusiast that I am. 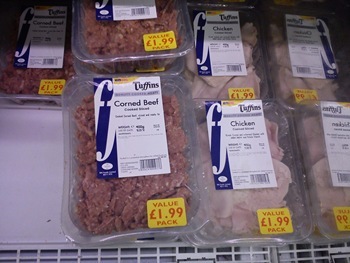 On my recent travels, I was constantly reminded how the 1970’s – or the 1950’s for that matter – are all around us in certain parts of this splendid isle. 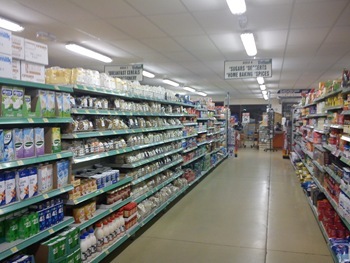 Observe this independent supermarket in Shropshire (pictured above: its welcoming lobby area) called ‘Harry Tuffins’. 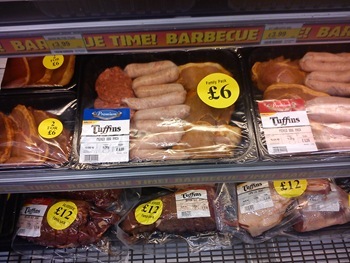 It stocks everything from bags of peat, rubber boots and tubs of processed meat – and even has an aisle called ‘Fancy Goods’. I’m not joking! 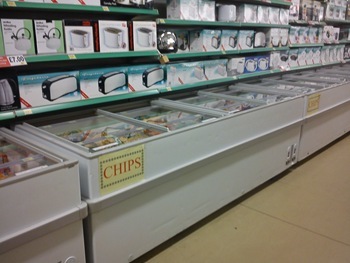 All three freezers-full. 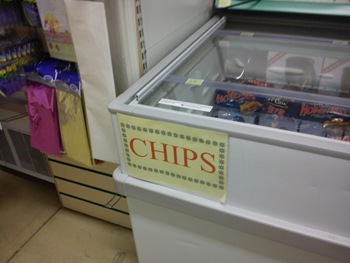 Or ‘deep freezes’ as they used to say in days of yore…I like the special effort the staff have made with these laminated signs, to enable folk to find their frozen chips in every shape, size and hue. Aha! 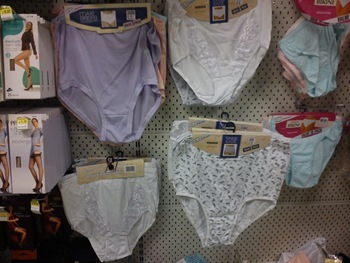 Pants from the Victorian Era! 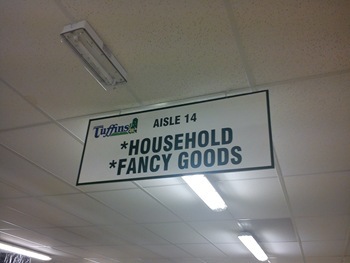 I absolutely must know – what fancy goods are to be found in the fancy goods aisle?! Awesome! I love that kind of thing. 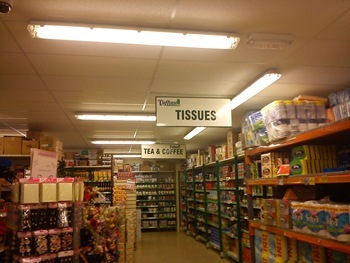 There's a store on Norfolk called Roys of Wroxham, and that is very similar. I think he owns everything in Wroxham, or perhaps just owns Wroxham. Welcome to the blog, Paul! Glad to hear things are going well at HT.I tried to get in touch with you via email before Xmas to see if you wanted to be interviewed for a feature I'm writing for Fire & Knives. Will try you again, but alternatively could you please drop me a line at: annerichardson [at] fastmail.fmThanks!